The ArtStation Masterclasses 2 – Games Edition is starting August 6th and this is your unique opportunity to learn from and interact with 10 senior artists in the gaming industry and connect with other students in class forums. Available discounts for studios, educational institutions and students wanted to be a step ahead of their classmates before the fall semester begins! Miguel Martinez is a Principal Concept Artist, currently working on Horizon Zero Dawn. A childhood love of spaceships and robots led Miguel to study Engineering at the Polytechnic University of Catalonia, Spain, and later pursue a career in Concept Design. Miguel’s strong ideation skills and love for working on core concepts prompted a switch to become Senior Specialist Artist/Animator and soon after, Senior Concept Artist to game development studio Guerrilla Games in Amsterdam. He was a prolific contributor to the vehicular, environmental and mechanical designs of the Killzone series and played a vital role in establishing the fundamentals for the world of Horizon. 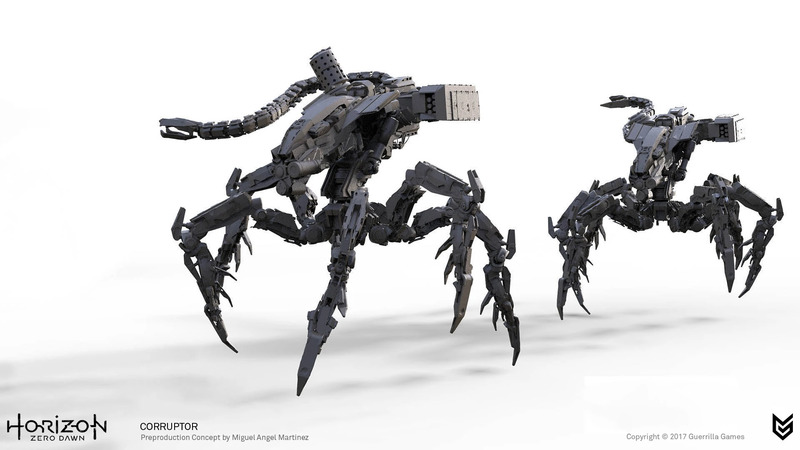 His approach to concept design from an Engineering point of view has translated into the impressive and functional robotic machines in Horizon Zero Dawn. In this course, Miguel will demonstrate his creative process and provide a practical yet intelligent approach to creating a design under a given set of conditions, such as narrative and visual goals. Miguel’s workflow consists of different phases such as recognizing and gathering engaging references, generating ideas, molding those ideas into a paint and most importantly, developing a critical sense of its design. Join the hunt to capture a great design from your imagination, where creativity and keen eyes are your allies! 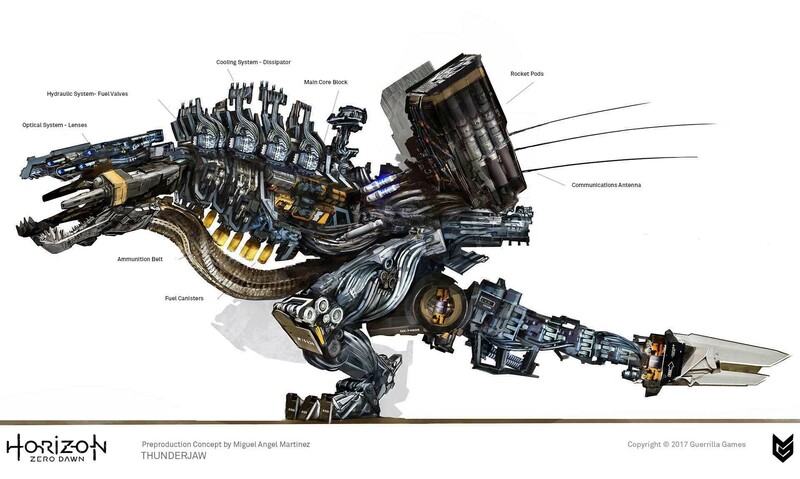 How has your engineering background helped you as a concept artist? As an engineer, I’ve always had the enthusiasm to innovate. I value originality and creativity. It has given me the confidence to build designs using complex networks from the interior to the exterior, especially on vehicular and mechanical designs. I imagine how these machines would perform if built in the real world. Being an artist, I tend to focus on the shape first and then get into an Engineering mindset to support that shape’s functionality. I suppose the best results come from the crossroad of the two disciplines. What is one of the most exciting projects you’ve worked on and why? The most exciting project to date must be Horizon Zero Dawn. The start of the project was especially exciting for me. 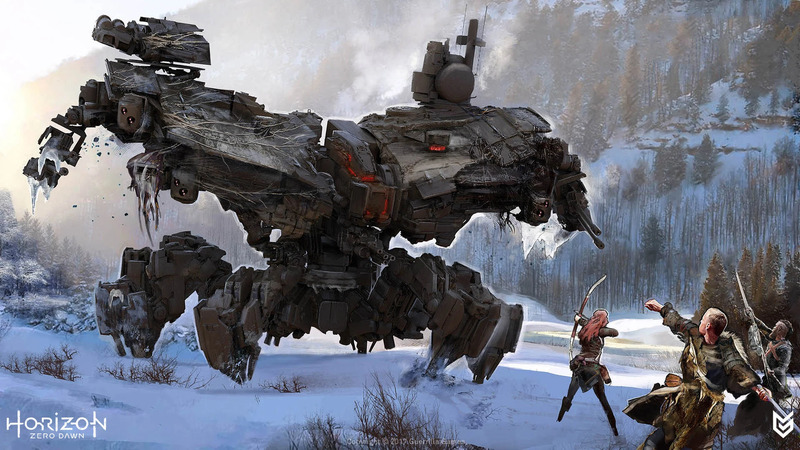 At Guerrilla, we began with a small strike team, exploring robot designs for a new IP long before it was known as Horizon Zero Dawn. I had an awesome time with the group, brainstorming and deliberating on possible routes. We started from a vacuum, but our goal was to push the boundaries as much as possible for the new project. It was the first time that I had such a responsibility as part of the team and thought it was a great challenge. I came up with the most complex robot and machine designs I have done to date. Great times! What is one of the biggest challenges you’ve faced working in the industry? I am the toughest critic of my own work, and it’s not easy for me to get completely satisfied. It gives me the motivation to push myself more, but it can also get exhausting at some point. In addition to that, the designs I create will eventually be subjected to further requests, omissions, and iterations from art directors and other departments, which make them even harder to achieve peace of mind with. But, that might just be my challenge as a concept artist in this industry – to be able to deliver a final design that serves its purpose, embodies the needs of the other departments involved, and still feel reconciled with it. I will show how to spark off ideas from the beginning, and how to keep those ideas flowing while you are working in the design; that is the main thing I would like to highlight in my class, and I hope they get something out of it!